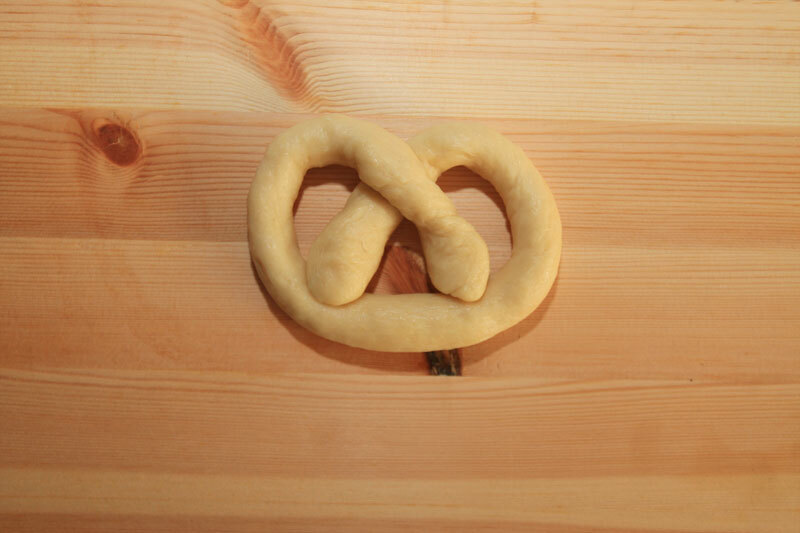 This post was inspired from this Bretzels recipe. Ahh, October. 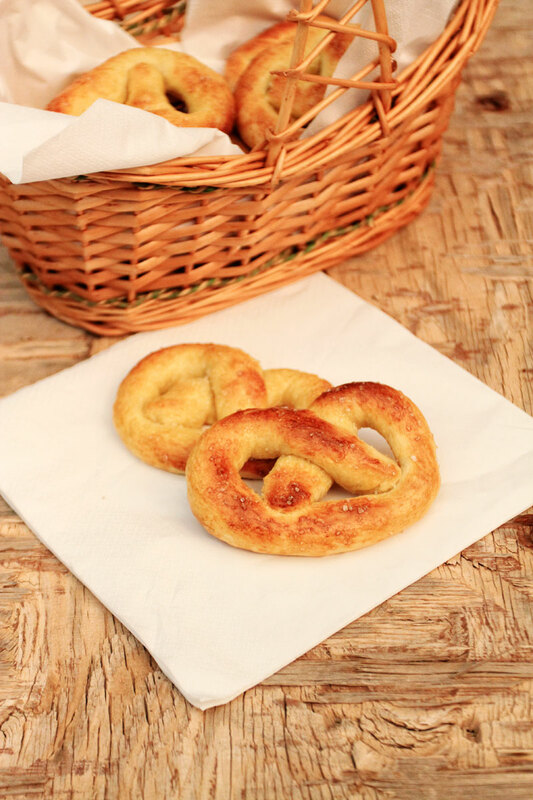 The time for eating pretzels, schnitzels, bratwurst and drinking beer, lots of it. Oh and dressing up all Oktober-festy. Don’t worry, we did. Yes a post is coming soon. 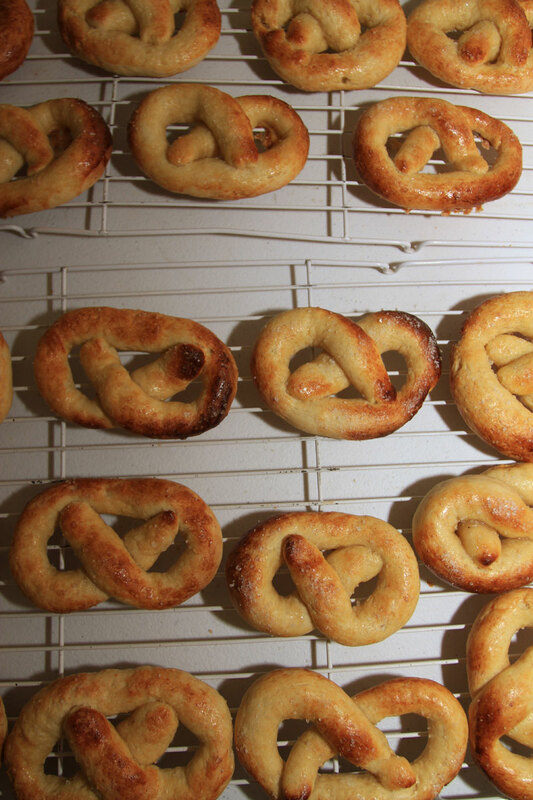 But for now, let’s focus on the pretzels shall we? 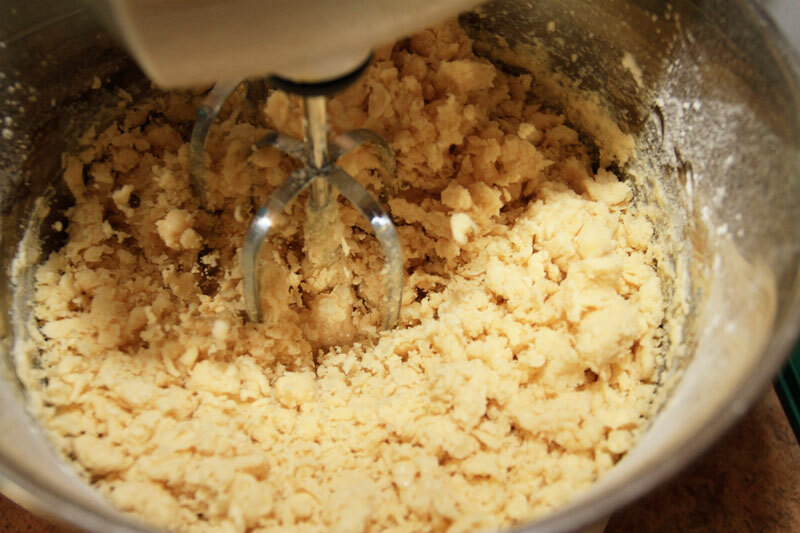 Mix the flour, instant yeast, sugar, butter, and salt in an electric mixer on slow for 5 minutes. 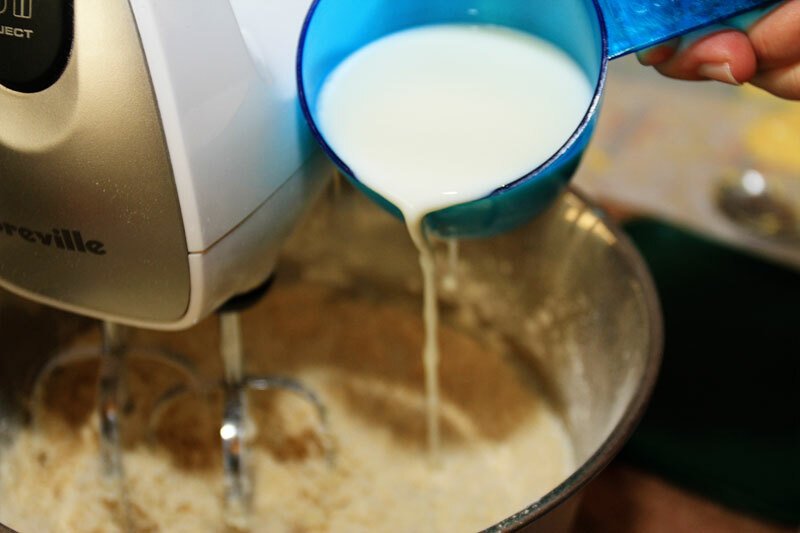 Start by adding ¾ cup of the milk, gradually adding the remainder until the dough is smooth. If the dough gets too sticky, you can add a little extra flour to compensate. Increase the speed to medium and mix for 2 minutes. When the dough is smooth and doesn’t stick to the bowl, it’s ready. 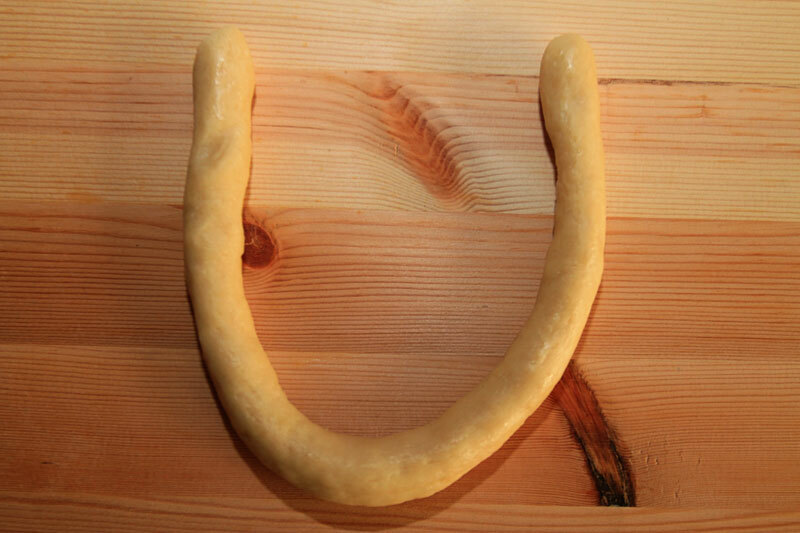 Lightly oil your work surface to prevent the dough from sticking. Roll the segments into little 85g (3 ounce) balls. 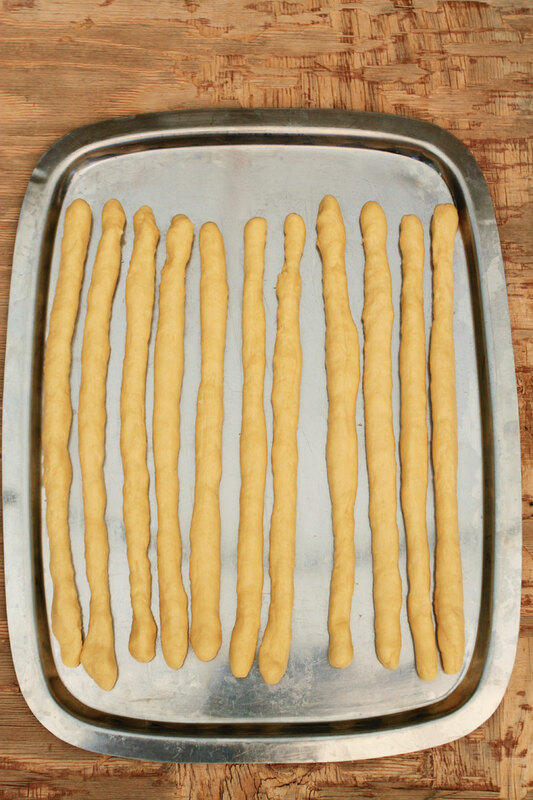 Then, roll all the dough balls into 12-inch strips. 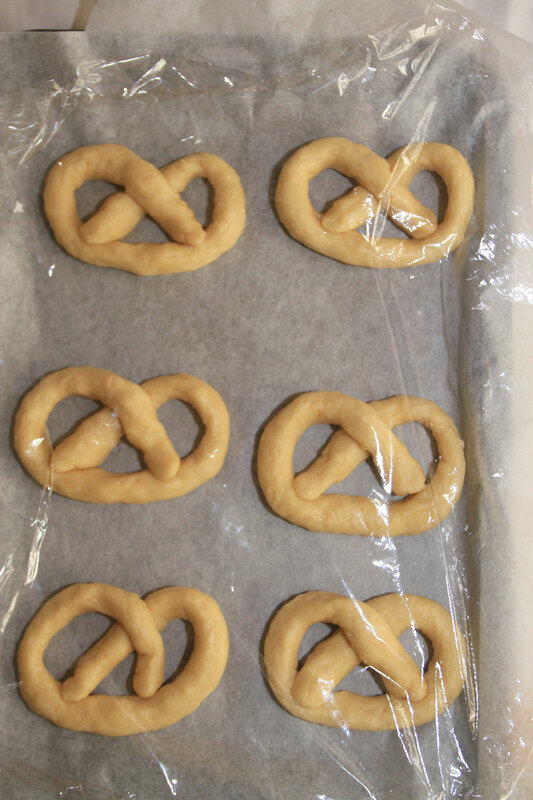 To shape the dough strips into pretzel shapes, first form the strips into a “U” shape. Hold the ends of the “U” and gently cross them over each other to the opposite bottom side. You may need to press the ends in so that it sticks. 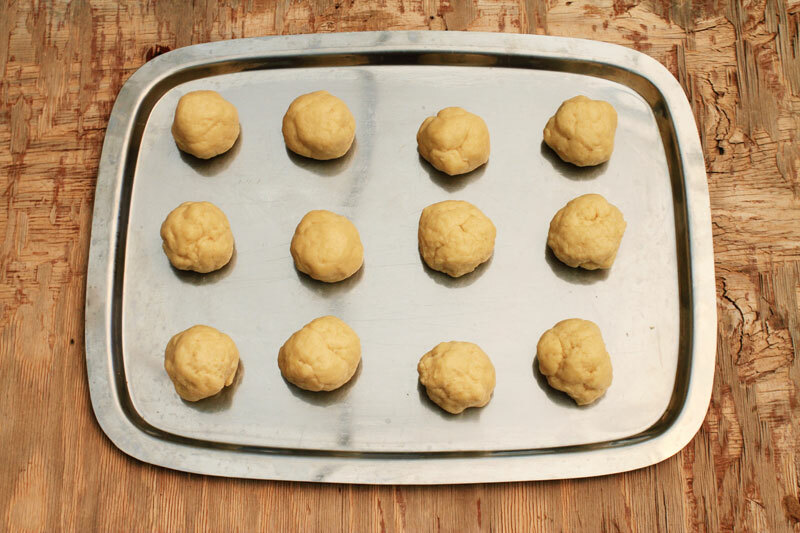 Cover the tray with plastic wrap, making sure not to press down on the dough and set aside for 30-40 minutes to allow the dough to rise. Preheat the oven to 210 degrees celsius (410-420F). 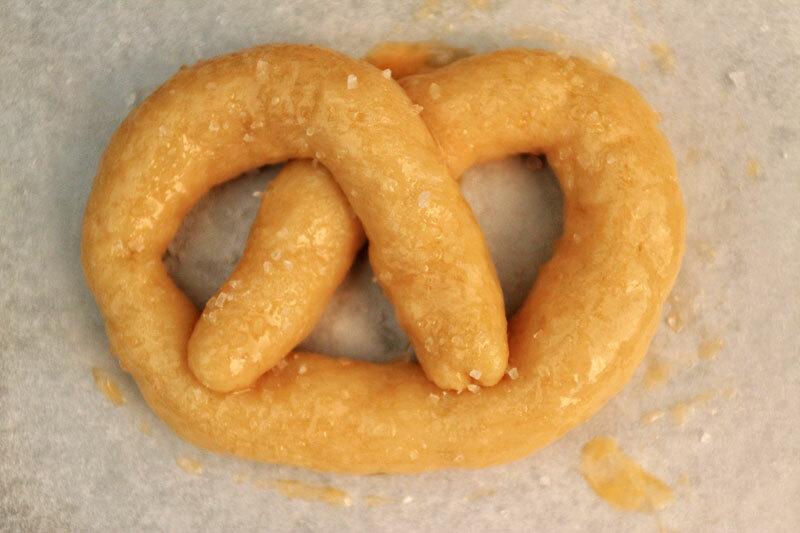 Once the pretzels have risen, crack the egg into a bowl and whisk, brush pretzels lightly and evenly with the egg wash. Then, crack a generous amount of sea salt over each pretzel. 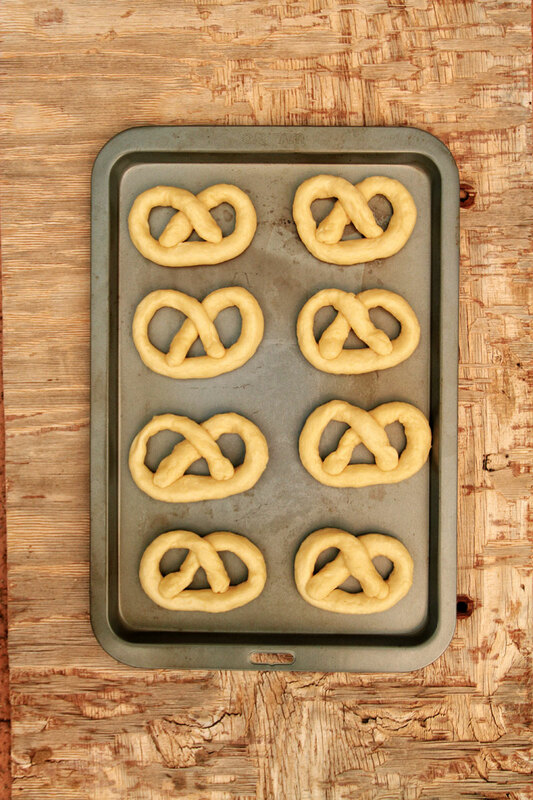 Place the pretzels in the oven and bake for 8-10 minutes or until golden brown. Once golden brown, remove from oven and set aside to cool. Once they’re cool, you are ready to serve them. 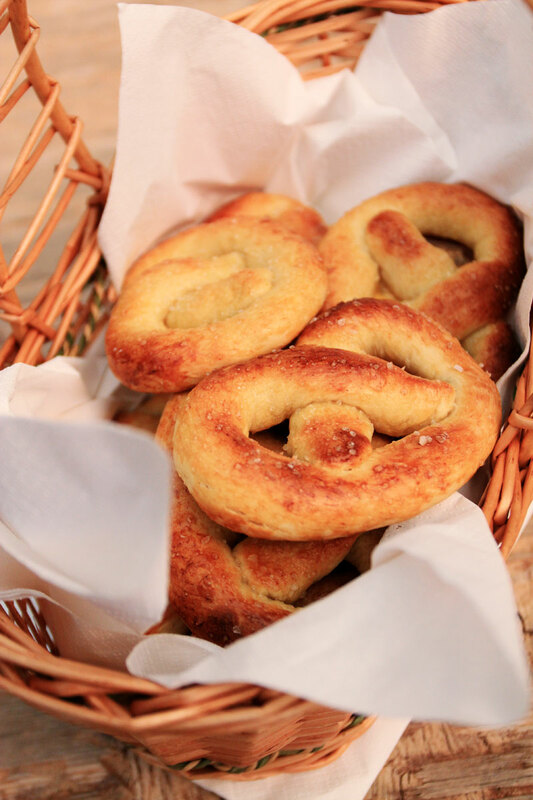 They go quite nicely with some German Beer :) I served mine in a woven basket with white napkin.